Taking a while to consider why the Greeks at Salamis were not simply shot off the decks of their ships by the heavily manned Persian vessels. The Persian ships came from maritime nations including the Phoenicians who were the foremost mariners of the ancient world. Each ship already had a complement of marine infantry - epibatai - which, if the Athenians were following an established pattern, would be about a dozen to 18 men per ship. Xerxes decided to add 30 of his infantry to each vessel according to Herodotos. 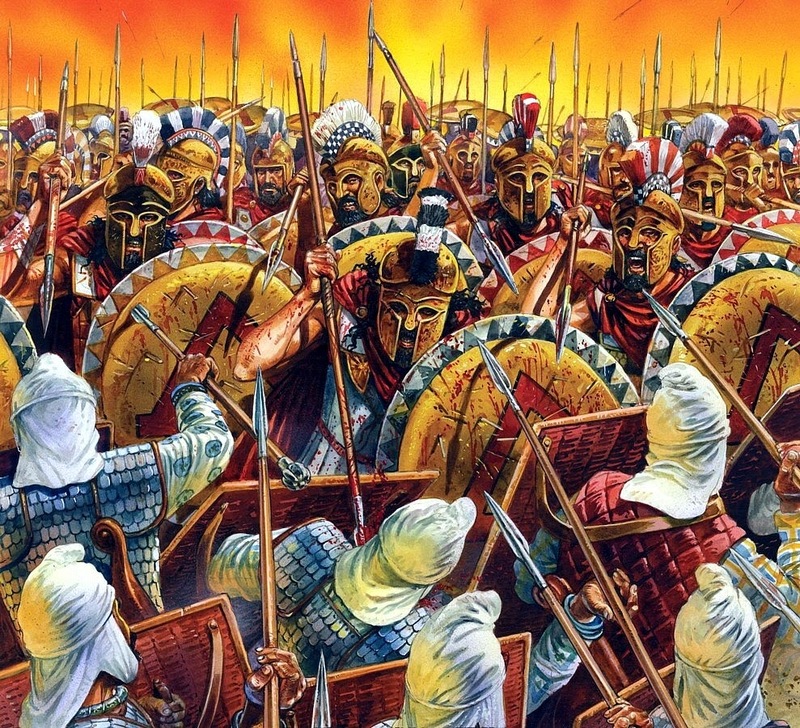 The marines were armed as hoplites and the infantry in Persian style one would imagine. 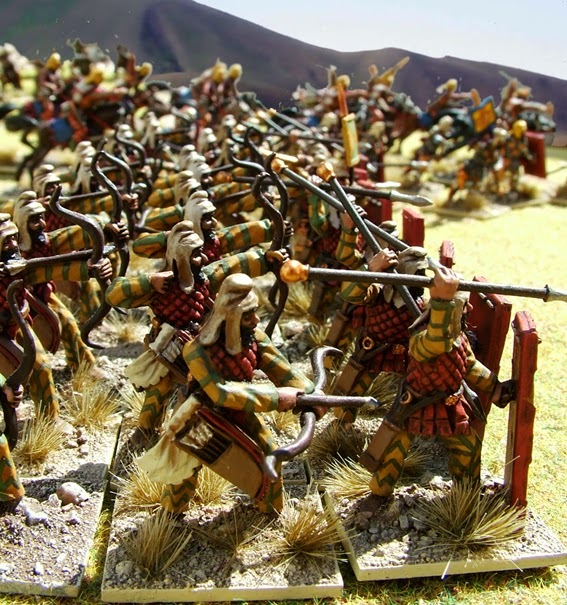 Persian/Median/Iranian infantry were archers first and spearmen second. A proportion carried large shields to screen the rear ranks who would shoot in battle. At sea this model would not really work. It is difficult to see how the large shields could be used in a mobile way. Most likey the ships had shields fixed along the deck rails to provide cover and the archers could shoot from wherever they could come to the rail. After this model each Persian ship now had a dozen heavy infantry and 30 archers aboard. 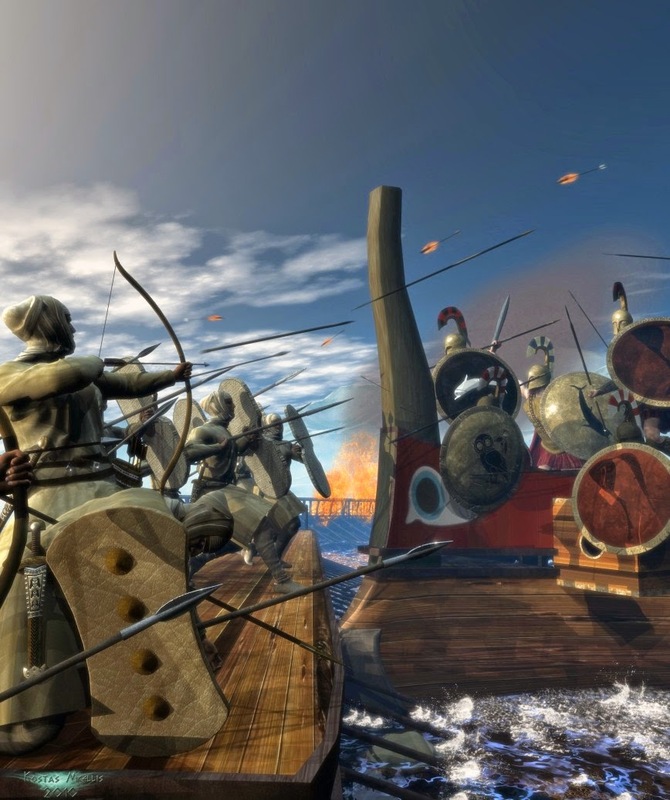 However, Persian archers never presented serious opposition to determined Greek infantry and at sea the landlubbers would be even more inferior in a clash. The Persians were accomplished archers. The bow was their national weapon and nobles prided themselves in skill with the bow. However, on the Greek mainland Persian archery never dominated the battlefield as it could in Asia against less heavily armed and less determined opponents. Here we have the first reason to downgrade the effectiveness of the Persian seaborne throng. 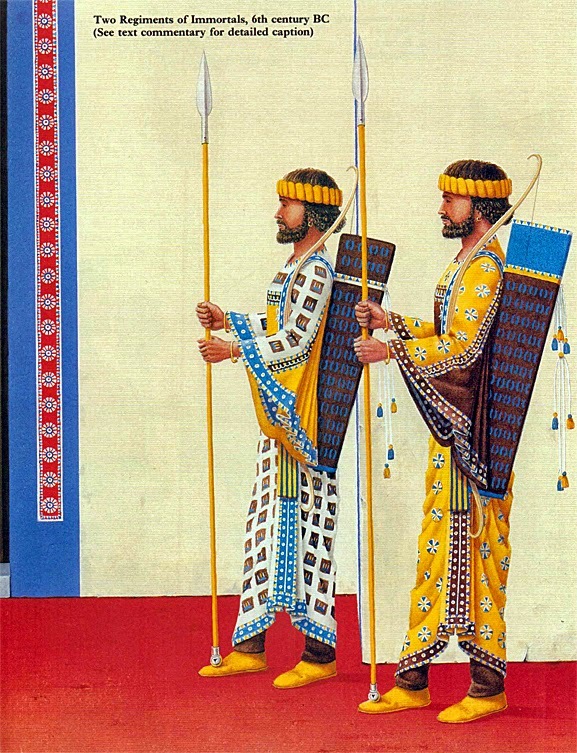 Greek deck troops would just not be very susceptible to Persian archery. The rest of the trireme crew was unarmoured as far as we know, and largely unprotected. How could this semi-naked human motor not be susceptible to major disruption by a storm of bronze-tipped arrows arcing over from the Persian ships ? An initial point is that we do not really know what the Greek ships were like and the degree of protection they offered to the oarsmen. Thucydides is our best source and he implies they were no kataphract at this time, i.e. not protected by deck and screens. We know from the Erment model and earlier depictions of Phoenician ships that shields could be mounted for protection.Maybe this was possible. The other source of protection is the epibatai with their large hoplite aspides these warriors could stand and block arrows to some extent. We must also bear in mind that the archers did not have an ideal situation to bring their skill to bear. At Agincourt the English created the best possible situation where their archery could be applied. At Salamis almost everything is against the Persians. Agincourt : historians can now give a more three dimensional picture of what went on. Firstly, the archers could not all get to shoot at once. With many men on the ship's deck they could not all rush around to get the best shot or the ship would roll crazily and be unmanageable. 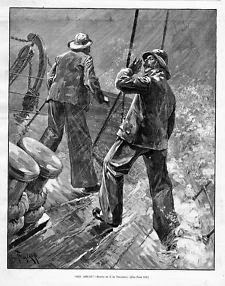 On Olympias the movement of one person across the deck would lead to complaints from oarsmen as their strokes were made less effective. Probably individuals would have a station to keep to unless the ships was alongside an opponent and a boarding contest developed. This factor immediately probably more than halves the number of archers that would be able to shot at an oncoming enemy ship. Secondly, the archers were infantry. 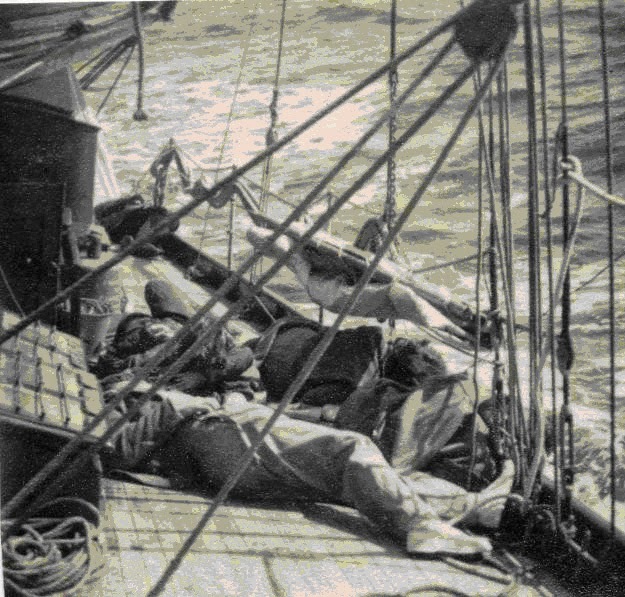 Unused to being aboard ships, these men had just spent a night at sea in unfamiliar circumstances. In any circumstance in modern situations up to 25% of passengers feel some degree of motion sickness at sea. 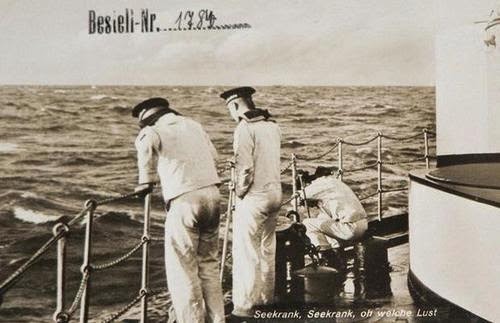 Sailors are never sea-sick? Kaiser Bill's men feeding the fishes. Novice sailors on ancient ships with ancient perceptions may have been more susceptible. And they sailed all night on ships with a monotonous pulsing movement as they moved under oarpower. The approach of deadly combat plus motion sickness would have reduced the number of men able to fight and the efficiency of those who could. On D-Day various accounts state 'most' infantry in landing craft were sea-sick. But they could get to land and recover before continuing to fight. The troops who were put ashore on the island of Psytalea must have kissed the ground when they were set off..before they later realised they were to be isolated and slaughtered as their fleet fled. Thirdly, the trireme is a long narrow warship. It has a ram which is it principle weapon and this is at the bow. The ship is fighting well when it presents its bow to the enemy. If the ship has its bow to the enemy then the fewest number of archers can see or shoot at the enemy ship. Fourthly, there would not be much time to shoot. 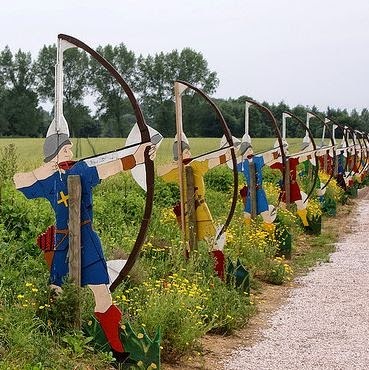 At Agincourt each archer could shoot 10 arrows a minute. A charging trireme moving at 10 knots covers 5 metres per second. A charging trireme would cover the archer's maximum range of 250 metres in about 1 minute . However. 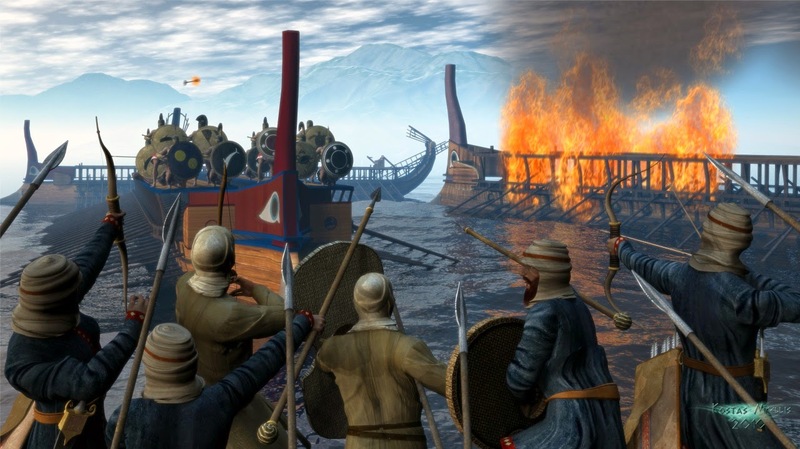 the accuracy of shooting in an unusual situation from one moving platform to another on the sea would have drastically reduced the accuracy of the Persians. Add to the equation the degree of protection the oarsmen have- even if quite poor - and it is immediatley apparent that the apparent firepower of the Persian fleet evaporates. Fifthly, the target is not very good. The target presented by an oncomng trireme with, maybe, hoplites protecting the frontal aspect with their shields is a poor one. Each shot is at a different range and the perpective of the target changes rapidly. Assuming one is placed to take a shot and feels like taking it. Finally, should a ship find itself on a sticky wicket vis a vis the enemy. e.g. it was rammed or chased or surrounded, can you imagine the panic that would set in with the Persian infantry?! 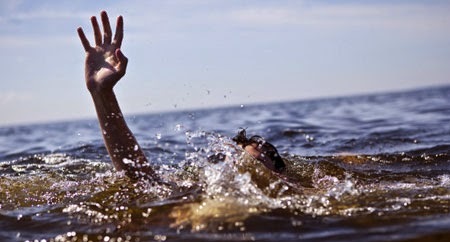 They could not swim. Viking Offshore would not be founded for more than two thousand years. The Greeks did not take prisoners. This is enough to make anyone's aim less than optimal. These considerations argue for the firepower of the Persian troops onboard their fleet to have been tacically negligible. Unless the combatant ships were moving slowly and close to each other Persian bows would have no role in the battle. If we consider the armament of the troops that maritime nations put aboard their ships we can see that they knew this well. According to Herodotos they were overwhelmingly armed as hoplites, a few with javelins and only the Lycians as archers, with flightless arrows for close range shooting. Little bit gay maybe but I just can't shoot well in anything tight.. It was the landlubber King of Kings who insisted on trying to use weight of numbers to beat the Hellenes as he had at Thermopylae. The extra flesh aboard his fleet at Salamis would have just slowed his ships, made them more unstable and added an overwhelming stench of puke to the conditions onboard. This burden was added to the basic plan that involved patrolling at night and fighting an enemy whose whereabouts were unknown. Full marks to the Persians who did not just jump overboard in the dark and take their chances. Fantastic 1/24 scale model of Olympias by naval architect Richard Braithwaite.